conformal coating – "Expertise, Right Across the Board"
Cleaning circuit boards before conformal coating is a huge topic by itself. This is because cleaning circuit boards can be challenging. However, successful cleaning of electronic circuits can be achieved by a variety of techniques. The key to success in cleaning circuit boards is similar to the success made with conformal coating. You need to match the cleaning process, the cleaning materials and the circuit board together. Why clean circuit boards before conformal coating? Author nexus3cPosted on June 22, 2017 June 22, 2017 Categories Blogs, conformal coating, conformalcoating101, UncategorizedTags cleaningcircuitboards, coatingconsultancy, Coatings, coatingtechniques, conformalcoating101, nexusLeave a comment on What are the different techniques for cleaning a circuit board before conformal coating application? How do I spray coat my printed circuit board with conformal coating? Batch spraying of conformal coating on printed circuit board assemblies (PCBA) is one of the most widely used techniques in low and medium volume production processing. Typically, using either a compressed air spray gun or an aerosol, the conformal coating is sprayed across the whole of the circuit board to provide the protection it requires. The batch spray process can produce a high quality conformal coating finish that gives the best protection due to good tip edge coverage of components. However, it is not a selective process and all parts are coated on the circuit board. Therefore, masking may be required to protect components that must not be conformal coated. What is a typical spray process for application of the conformal coating to the circuit board? Batch spraying using an aerosol or hand spray gun is normally a simple process. Dilute the conformal coating with thinners according to the manufacturers recommended instructions (typically the viscosity is close to 24cps and almost like water). Mix the blend thoroughly but without creating bubbles (if bubbles occur wait for them to dissipate) and apply a test pattern to ensure the material from the spray gun is flowing properly. If “spider webs” occur (similar to candy floss in the air) then dilute further with more thinning solvents. in front of the spray gun operator. Hold the spray gun at a 45° angle and at the recommended distance (typically 20 to 25 cm from the circuit board). Spray a thin and uniform coat onto the circuit board with an even motion using “spray and release” strokes in a raster pattern. Do not over apply too much liquid. Turn the circuit board 90°and repeat until the board has completed one complete 360° rotation. If a second coat is required, wait 2-3 minutes (may be longer with certain solvent types so check manufacturers recommended instructions) and repeat steps 5-7. Once complete follow the cure instructions for the coating on the circuit board. 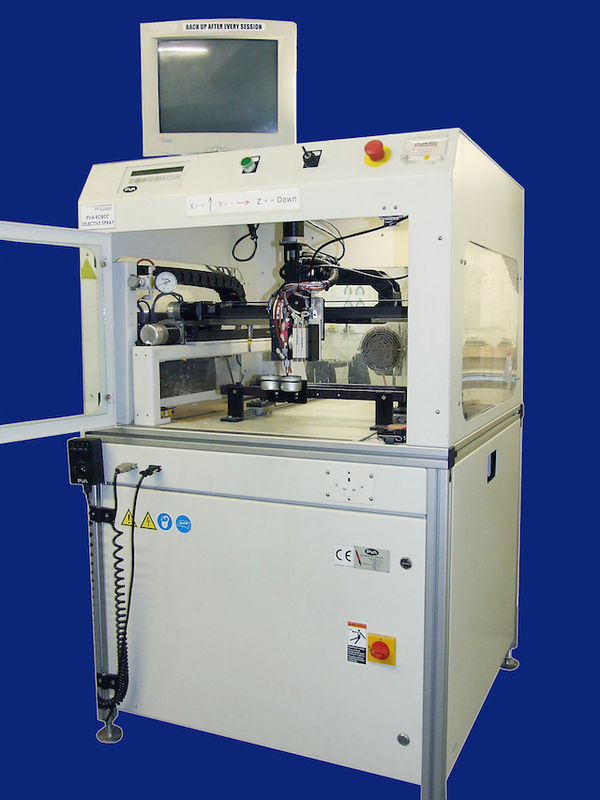 Go directly to our conformal coating batch spraying section or contact us directly and we can help you. Author nexus3cPosted on June 16, 2017 Categories Blogs, conformal coating, conformalcoating101Tags circuit board, conformal coating, conformalcoating101, nexus, sprayLeave a comment on How do I spray coat my printed circuit board with conformal coating? How do I dip coat my circuit board with conformal coating? 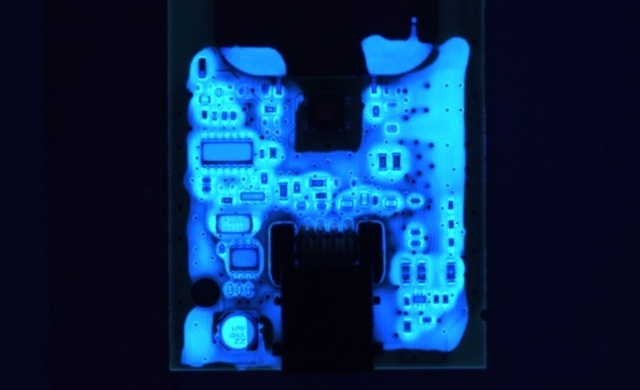 The printed circuit board (PCB) is dipped into a tank of conformal coating liquid. This can be complete submersion or partial dip. The board can be dipped vertically, horizontally or at another angle. The board can be dipped manually or automatically. The board is removed from the coating and the excess conformal coating drains away. What are the five disadvantages with the dip coating process? 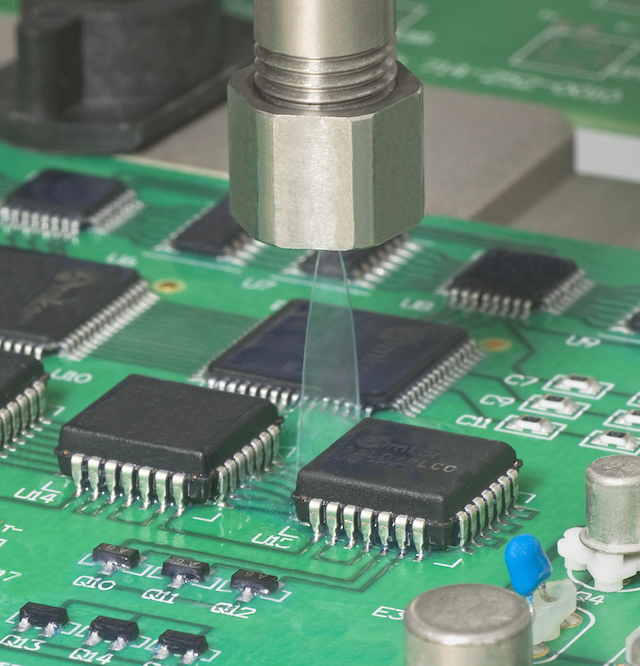 Go directly to our conformal coating dip section or contact us directly and we can help you. Author nexus3cPosted on June 6, 2017 June 7, 2017 Categories Blogs, conformal coating, conformalcoating101, UncategorizedTags conformal coating, conformalcoating101, dip coating, nexusLeave a comment on How do I dip coat my circuit board with conformal coating?